On March 1, 2019, Butte Vista Farm, in partnership with neighboring Three Heart Farm, was selected to receive a two-year Farmer-Rancher Grant, funded by the North Central Region – Sustainable Agriculture Research and Education (NCR-SARE) program, to evaluate various Integrated Weed Management (IWM) practices to control the infestations of chicory in conventional and organic hay fields and pastures. North Central Region SARE is one of four regional offices of the Sustainable Agriculture Research and Education (SARE) program, a nationwide grants and education program to promote, advance and encourage sustainable innovation in American agriculture. The Farmer Rancher Grant Program awards grants to farmers and ranchers who want to explore innovative solutions to real-world problems through on-farm research, demonstration, and education projects that can be readily achievable and provide long-term profitability, encourage responsible land stewardship and improve the quality of life of ag producers. Common chicory, a perennial herbaceous plant, possesses some benefits under managed growing conditions. However, with unrestrained growth, it has the ability to become invasive in fields and pastures, especially when soil health or desirable ground cover becomes compromised by extremely dry weather, undue grazing pressure or adverse growing conditions. Such is the case in Butte Vista Farm’s region – to the extent that the local county invasive weed and pest officials have declared chicory to be a noxious weed, making control of the plant mandatory. Various methods have been used to manage chicory. Not all attempts have been successful and, in some cases, have exasperated the problem. The need to determine a cost-effective, environmentally friendly, reasonably achievable solution is paramount. 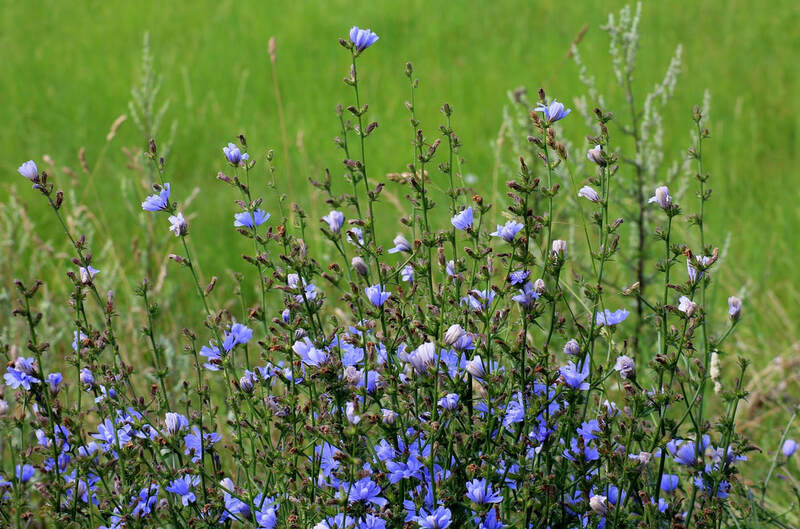 ​The conventional practices of Butte Vista Farm and organic certification of Three Heart Farm creates an opportunity to demonstrate effective IWM applications in controlling chicory in side-by-side operations. The project’s objectives will be to evaluate IWM practices in accordance with conventional and organic parameters. 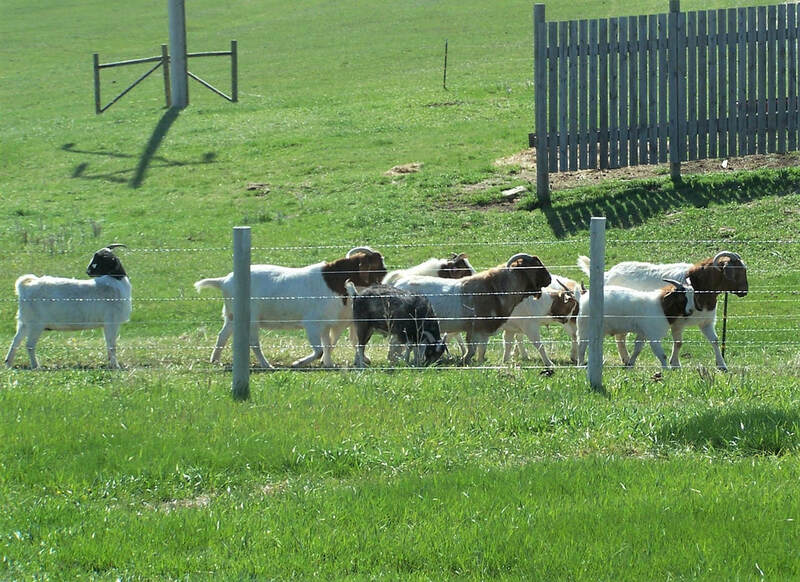 Specifically, Butte Vista Farm will test weed control results on intensively-grazed (with goats) and non-grazed test plots - some receiving applications of varied rates and classes of herbicides and some plots grazed only with no chemicals applied. The chemical trials will be conducted under the direction of Mr. Paul O. Johnson, South Dakota State University Extension Weed Science Coordinator. The operations on Three Heart Farm will evaluate mowing at different intervals, no-till seedings of grass and clover to improve ground cover, and grazing free-range chickens to control chicory seed production. Through the efforts, we hope to be able to definitively identify those recurrently achievable weed management practices that are cost-effective, environmentally responsible and which can be used by other conventional and organic producers without having to resort to specialty materials, tools and machines, or employing expensive expert services and labor. We hope that what we learn and are able to demonstrate will assist others in improving their profitability, soil health and quality, crop production efficiency and over all contribute to a sustainable agriculture model. There are far more details to come. We invite you to follow us on this journey. The findings will be shared through field days, Butte Vista Farm’s website and Facebook page, blog posts, and newsletters. Please take this opportunity to subscribe to our mailing list to receive the newsletter and receive updates on the step-by-step processes of our research, as well as links to other informational posts on our social media platforms.